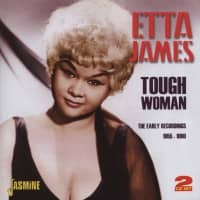 In the annals of R&B’s great unsung heroines, you won’t find Etta James. Nobody’s idea of an underdog, she recorded prolifically for over 50 years and can hardly be said to have toiled in obscurity. 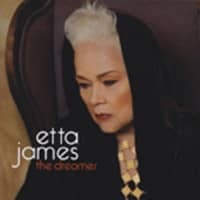 Etta grabbed the spotlight as a teenager with her first recording, ‘Roll With Me Henry’, and went from strength to strength from there, cruising into the Rock & Roll Hall of Fame early and winning her most recent Grammy in the 21st century. Inarguably her most successful work, both commercially and artistically, was unleashed during her 15-year tenure with Chicago’s fabled Chess Records, where she rolled out a decade-long string of hits and a dozen LPs. 'Who’s Blue? Rare Chess Recordings of the 60s and 70s' eschews the many big hits that have been endlessly anthologised, instead cherry-picking an eclectic selection of B-sides and album cuts, 18 of which make their digital debut and one that’s never been released anywhere. Is there anything better than discovering new treasures sung by a superstar icon at the peak of her powers? 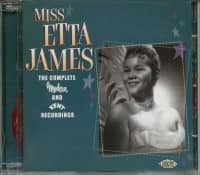 Recorded in a variety of locales (Chicago, Muscle Shoals, Nashville, Los Angeles, even New Jersey) the tracks herein showcase Etta’s artistry in a broad variety of styles. Her stock-in-trade blues shouting comes to the fore on a couple of Willie Dixon-penned barn-burners, ‘Nobody But You’ and ‘Fire’, while she indulges her passion for smooth jazzy crooning on ‘It Could Happen To You’ and ‘I Worry About You’. She tackles 70s-style rock on ‘Only A Fool’ and offers a few country standards, most notably a sublime reading of Mickey Newbury’s ‘Sweet Memories’ and a surprising take on Don Gibson’s ‘Look Who’s Blue’. 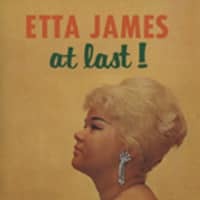 Of course, Etta James is primarily (and rightfully) revered as a towering figure in the pantheon of 60s soul, and there’s no shortage of that here, from the funky drive of ‘Take Out Some Insurance’ and the swaggering riposte of ‘(I Don’t Need Nobody To Tell Me) How To Treat My Man’ to the searing deep soul of ‘My Man Is Together’, the frisky scatting on ‘You Can Count On Me’ and the Berry Gordy-penned rocker ‘Seven Day Fool’. 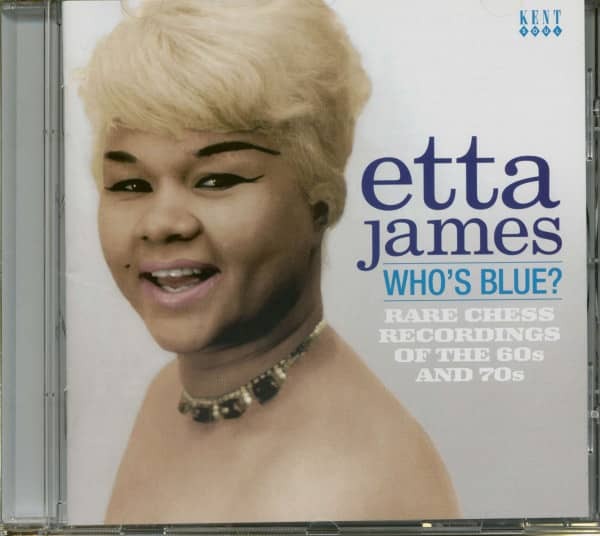 And speaking of songwriters, there’s a 1970 remake of ‘What Fools We Mortals Be’, a song Etta had recorded in 1956 from the pen of her mother, the notorious Dorothy Hawkins. A vault find seeing light for the first time anywhere, ‘Can’t Shake It’ finds Etta romping through a girl-group-styled workout, and you can almost hear the smile on her face. Another highlight is ‘That Man Belongs Back Here With Me’, a missed opportunity for a hit single if ever there was one. As is ‘Do Right’. 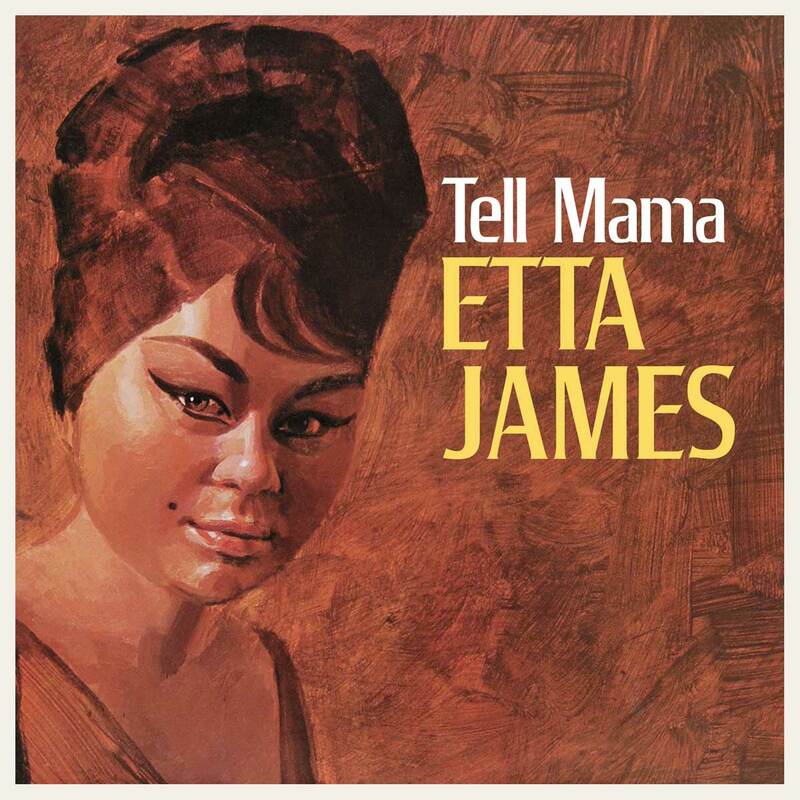 Actually, ‘Street Of Tears’, ‘You’re The Fool’ and ‘Let Me Know’ would sound right at home on any 'Best of Etta' collection as well. That’s the wonderful thing about 'Who’s Blue?. 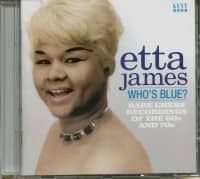 It’s not Etta James’ 'Greatest Hits'. It just sounds like it could be. Kundenbewertungen für "Who's Blue? Rare Chess 1960s-1970s (CD)"